There are a variety of reasons to sell a rental property, with the clearest being that you simply don’t want it anymore. Like with selling any property, selling your rental will be an involved process that takes some time to complete. Valuing it properly and having a better idea of how much you intend to profit can help expedite the process. You may have to compromise a little if you’re looking to unload it quickly, but it’s likely that things will work out better for you that way. The longer you sit and wait, the more it’s going to cost you. Setting the right asking price can make all the difference in the world, especially if you’re looking to sell your unwanted property to an investor. Figuring out how much you’ve invested will help you come up with the number that’s your highest possible profit. How much did you initially spend on the property? What have you spent in improvements that increased the value of your property? 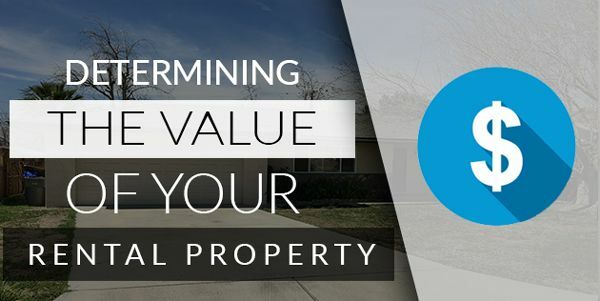 Obviously, you’re going to want that number to be smaller than the difference of what your property turns out to be worth. If you find out later on that it isn’t, see what you can do to improve the value of your property. If $100 worth of work adds $500 worth of value, a few improvements can help you out later on. Investigate what similar properties in the neighborhood of your unwanted rental are selling for. Some properties will be worth more, and others will be worth less. It’s important that the properties you’re investigating are reasonably comparable to your own. In addition to the asking prices of these properties, you’ll have to consider how long they’ve been sitting on the market. For example – if a property that’s virtually similar to yours is listed at $250,000, but it’s been sitting on the market for 3 years, it probably won’t sell at that price. Look at how many price reductions a property has gone through. It also helps to look at properties that have already sold. Those homes turned out to be worth their asking prices. Let them be your guide. Can you afford to price yours competitively, or comparably at the very least? Once you know what houses are actually selling for, it’s easier to determine the maximum amount that you can ask for your property. If you spent $175,000 on your property and spent $15,000 on improvements, you’ve put down $190,000. If similar houses are finding real buyers and successfully selling at $225,000, your realistic maximum potential profit sits at $35,000. How much of that you’ll actually get depends on the way you choose to sell it. Depending on the route you select, that number can either stay the same or go down. You may need to tweak your number depending on the selling method you use. While going through a realtor is probably the most popular way, it’s kind of complicated. The realtor will come in, inspect your property, and come up with a listing figure of their own. This number may be higher or lower than what you’ve estimated, and that can affect your plan. Realtors also take a commission out of your selling price. Depending on the realtor and the circumstances, this is anywhere between 6 and 15% of the final sale price of your property. Depending on the housing market in your area, the realtor may suggest reducing the price after periods of inactivity regarding your property. If it doesn’t sell quickly (and with the state of the economy, it probably won’t), the realtor will want to bring down your asking price. This means your profit will be reduced, and you’ll still be paying commission. The longer your property sits on the market, the less you’ll be able to ask for it. Worst case scenario, you watch your profit margin decease over a period of a few years, while you remain stuck with the property and the maintenance costs. Realtors will profit off of your home, and so will investors. The main difference between the two is that you’re taking fewer risks by going to an investor. Generally, investors only purchase properties that are below market value. Once the property belongs to them, they’ll update it and market in the way they please. Some people are hesitant to go towards investors because it’s a guarantee that they won’t make market value on their property. Truthfully, almost no sale method will get you full market value. Real estate agents take their cut, too. Investors generally pay in cash immediately. You’ll be able to sell your house closest to your maximum profit at the current moment, rather than risking fluctuation within the real estate market or a slow sale process reducing your profit margin even further. Since investors buy real estate quickly, you won’t have to worry about maintaining the property or incurring any further costs associated with your ownership of the property while you’re waiting to find a buyer. Once you understand the market value of your property, approach investors with that number. They won’t be willing to pay the full price, but you’ll probably make a comparable profit in the end. If you’re a burned out landlord, you want to a speedy sale and a decent profit. You’ll get less money selling it quickly, and you’ll spend more money selling it slowly. You can risk going through a realtor if you’re up for the gamble. If you want a surefire thing, try going through an investor.